An overview highlighting the key features and functionality available. 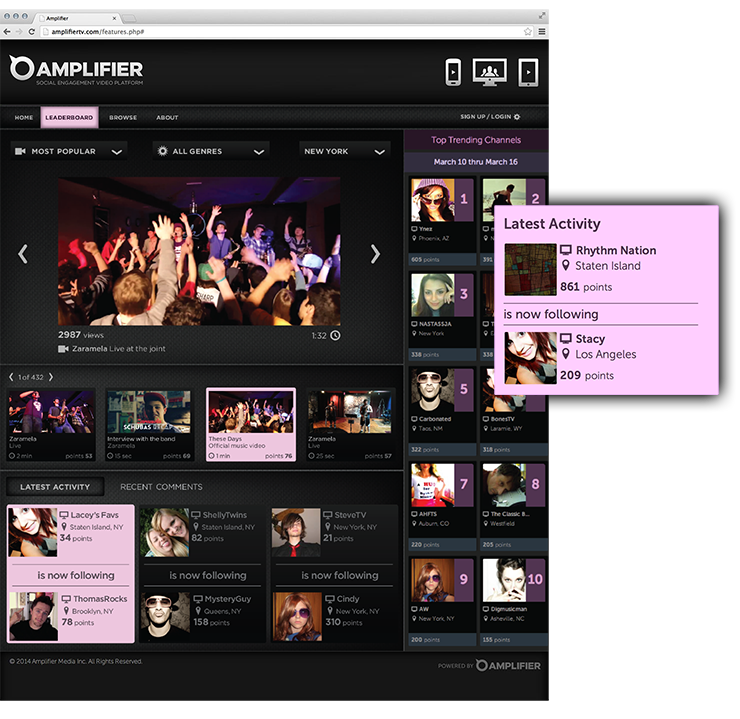 Version 3 of the platform is here, see it in use today for Outside TV! 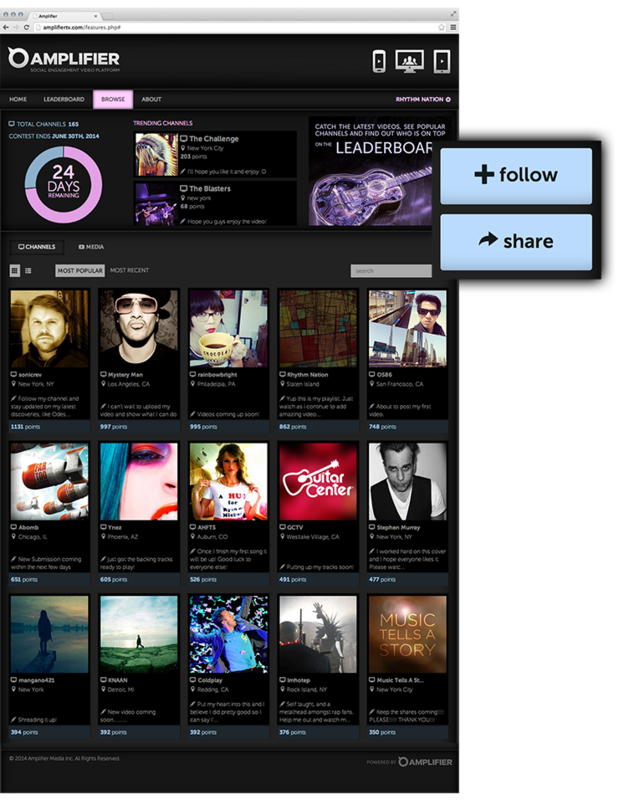 The leaderboard is the window into the activity your campaign is creating. 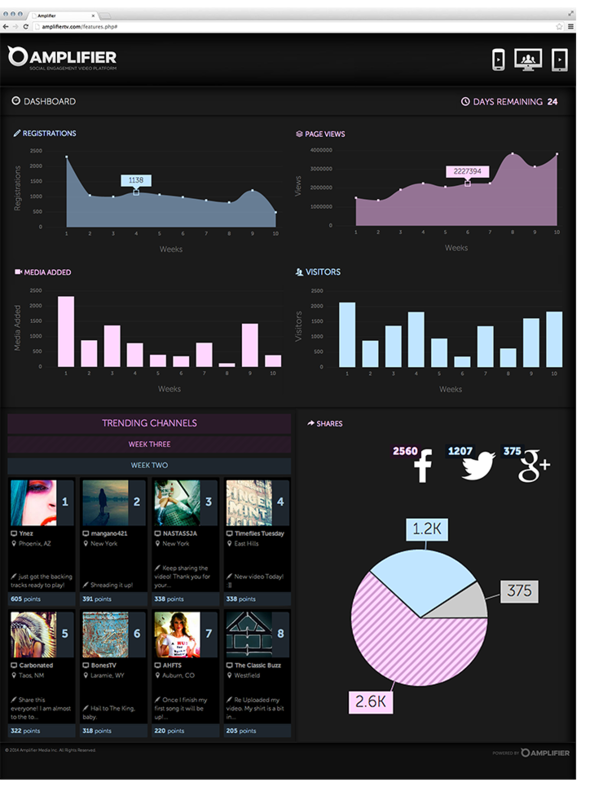 Viewers will be able to see the most recent and most viewed videos, the top channels, the most recent comments and other activities. The info page is your campaign’s customized landing page. It’s where contestants find easy, step-by-step instructions on how to participate, what type of content you would like them to make, how to share their content and more. It is also where they will learn about the rules of the campaign and what prizes you are offering. Once registered, each contestant creates their own channel. 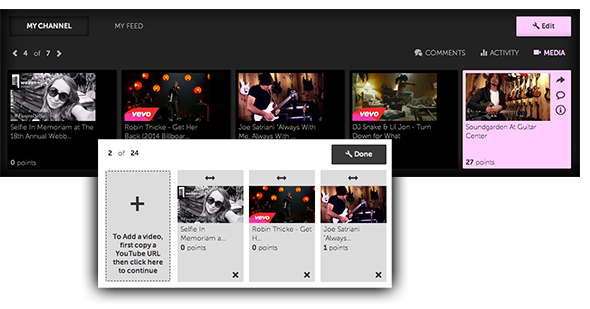 In their channel they can easily embed their videos and organize their playlist. Then, with a single click, they can share their channel throughout their social graph and begin earning points towards the contest. 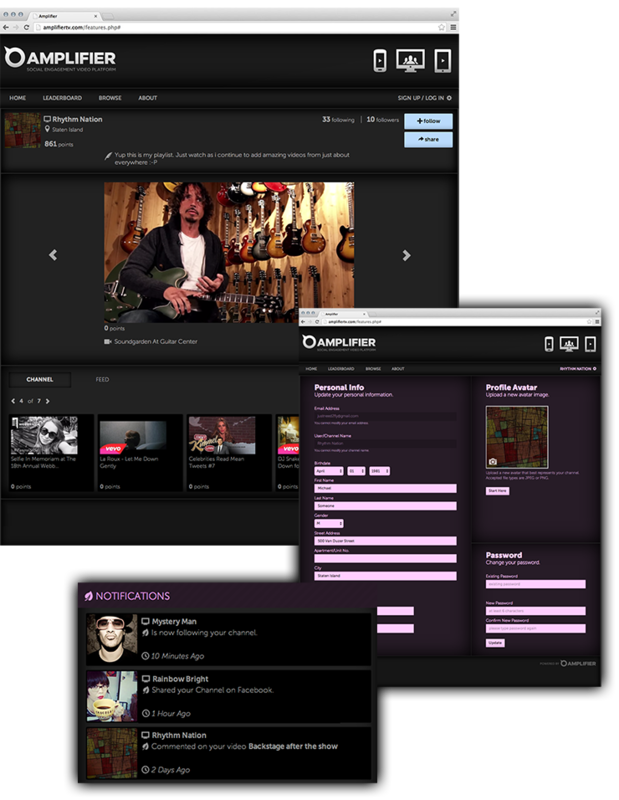 Viewers and contestants can easily search other channels to see what they are broadcasting. If they want to keep up to date with their favorite channels, they simply click follow and every time a new video is posted the new content is added to their feed. 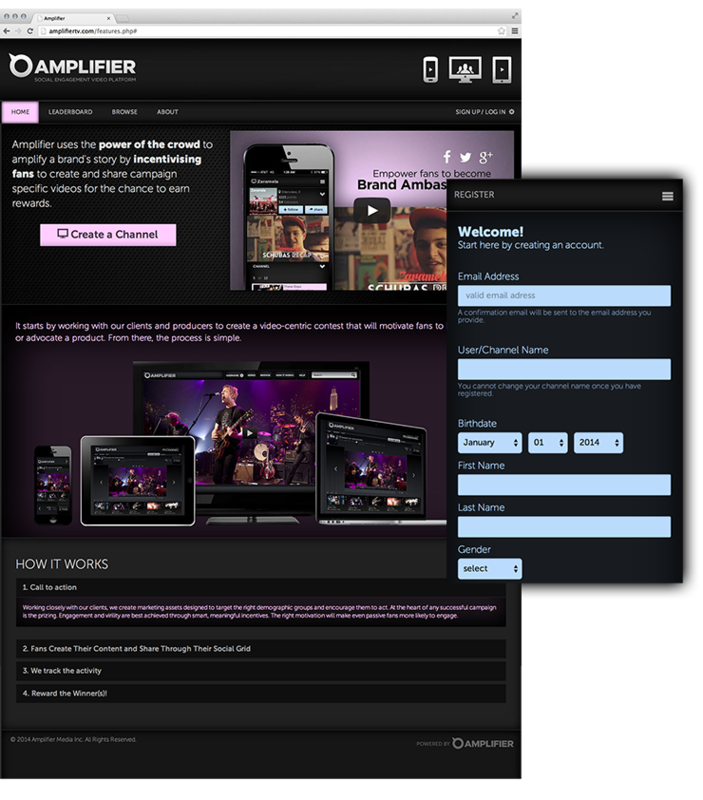 Amplifier allows you to easily see the most viewed videos and the channels that created the most impact on behalf of your campaign. Other available data will help you analyze the overall impact and reach of your campaign.